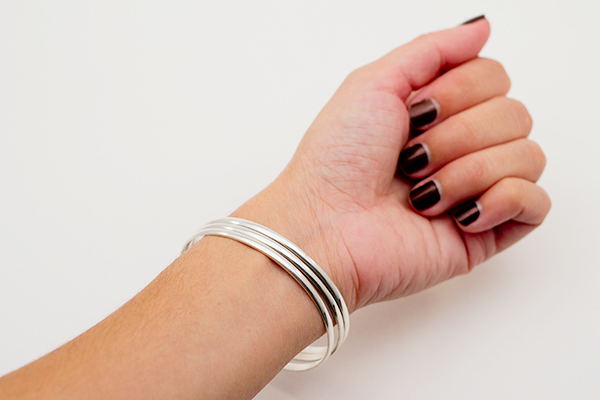 I got a lot of requests for these small fitting bangle bracelets, so when my mom came across a few more, we were really excited to grab them so other small-wristed ladies could have a chance to own some as well! For reference, my wrist measures about 5″ around, and my hand measures about 2.25″ across according to this method. 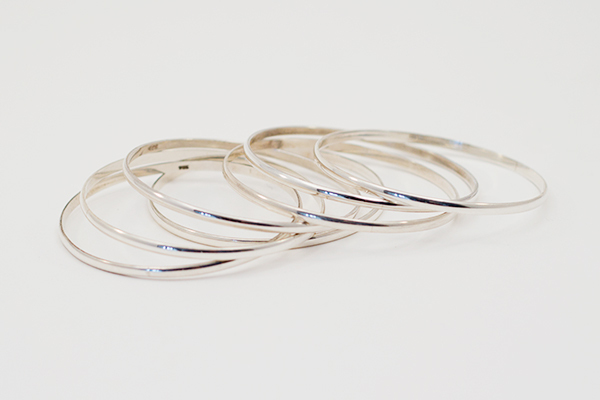 I personally own three of these bangles from the first time we found them, and honestly wear them almost every day. I like to wear an odd number of bracelets, so for me, three works perfectly. I usually wear all three together, or wear two and pair them with another bracelet. 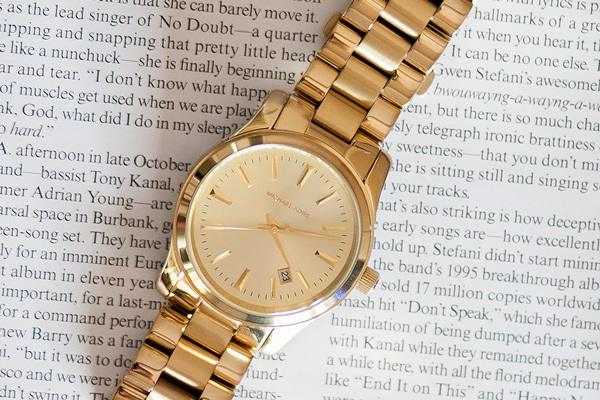 Of course, one is great to pair with other bracelets as well. I love these because they are simple (they go with everything), and are real sterling silver, so they can get wet and won’t turn your skin green. I’m not a big fan of costume jewelry (some of my Amrita Singh costume jewelry is already turning green! Grrr! ), so I’m happy to offer these quality pieces to other petite women who have a notoriously hard time finding bangles that fit. This is not throw-away jewelery… these bangles will last a life-time if well taken care of. Tip: sterling silver will naturally tarnish, especially if not worn often. It’s normal, and is easily fixed by rubbing with a polishing cloth or glove ( <– I have the same one!). These sterling silver bangle bracelets are for those who are looking for smaller sized bracelets for small hands and wrists. 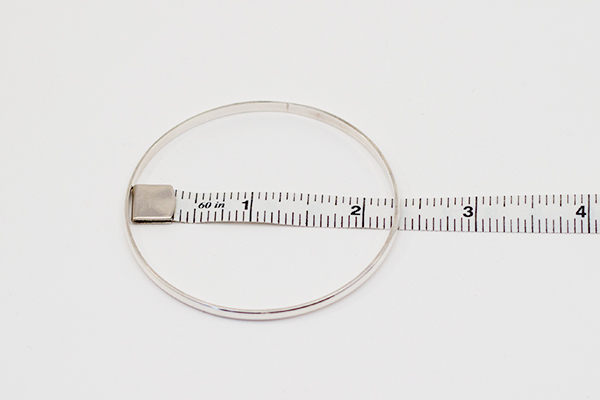 Each bangle measures just a hair over 2.25 inches in diameter (from the inside), and is made of 6 grams of sterling silver. 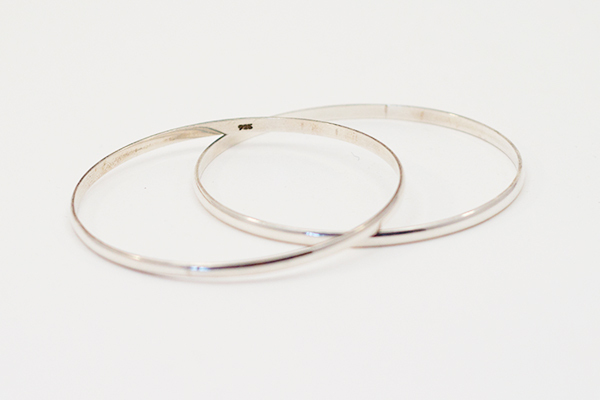 These simple bangles are smooth, flat on the inside and slightly rounded on the outside, so they will go with every style of outfit, or blend nicely with other bracelets you already own. 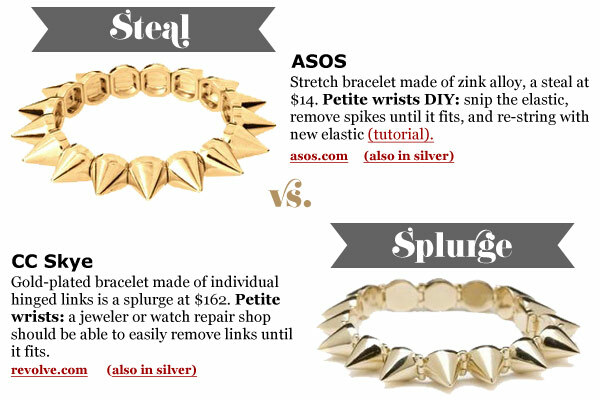 Not sure if these bangle bracelets will fit you? Measure your hand using this method. I don’t have too many of these, so first come, first served. The bangle bracelets are $25 a piece. Shipping within the US is a $5 flat rate, sent USPS Priority Mail. Shipping to Canada is $11.35 USD, also sent USPS Priority Mail. Shipping is one flat rate, no matter how many bangles you purchase. The quantity of bangle bracelets you’d like to purchase. I will confirm I have enough bracelets to fill your order (remember, I have a limited number of these) and calculate the total. Payments will be made through Paypal and shipped by me via USPS Priority Mail with Delivery Confirmation. Previous articleWeekend Guide: 10/07/11 – Columbus Day Sales! Next articleMustard Pants, Why You Tease Me? I love the stack of 3 idea! 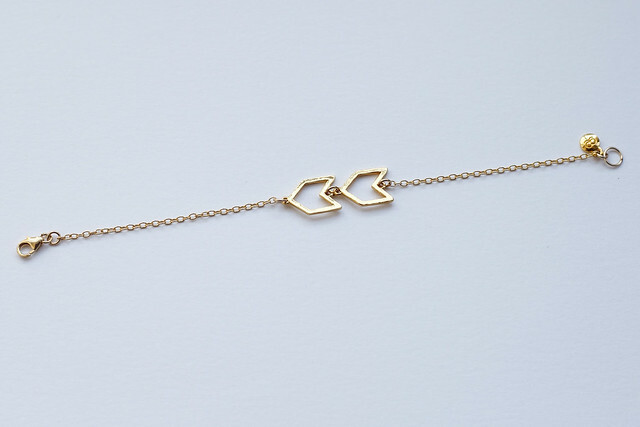 Hey Kelly – When will we find out if we are one of the lucky ladies to get a bracelet? I am leaving on vacation in a couple of days & wanted to be sure to pay you.